We Love Dr. James And His Staff! All three of my children have always had wonderful experiences at their dental visits. The staff is very patient and understanding and treat the patients and parents professionally. The dental assistants are gentle during the cleaning and encourage the patients to always take care of their teeth. 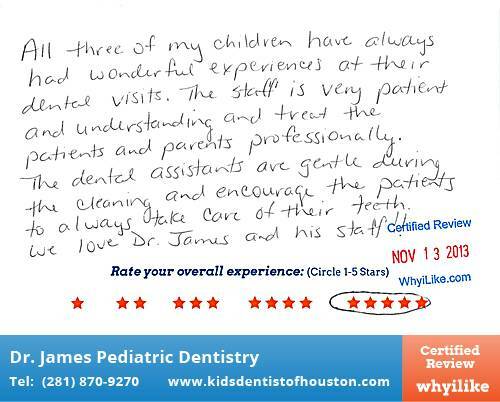 We love Dr. James and his staff!